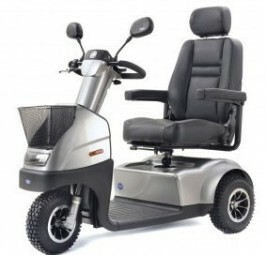 Medical an industry leader in the mobility market. The Traveso gives a level of comfort and safety that has never been seen. The Shoprider Traveso Mobility Scooter gives you a waterproof, fully contained luxurious cabin with no fear of getting cold or wet in the English weather! The durable cover is completely rustproof, and the doors can be removed during the warmer weather to give you protection whilst allowing air flow. A comforatbale contoured seat with headrest for your additional comfort, and to compliment the seat all round suspension is included to ensure a smooth journey. 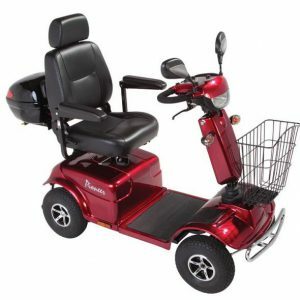 The two powerful 75 ah batteries enable the Traveso Mobility Scooter can carry a maximum user weight of up to 25 stone, with a maximum travel distance of up to 20 miles between charges. 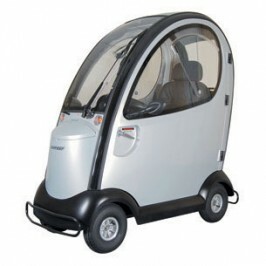 The Traveso is an 8mph mobility scooter, packed full of safefty features only considered to be found on a car. A full front and rear lighting system has been included for your safety with horn, indicators, a windscreen wiper and 2 wing mirrors and advanced steering controls, whatever the weather, you know you will arrive dry and safely in the Traveso Mobility Scooter. 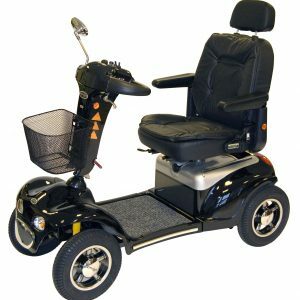 The Shoprider Traveso Mobility Scooter offers an additional level of security never found on mobility scooters, the cabin is lockable, when you are away from your scooter the doors can be locked to secure your scooter. 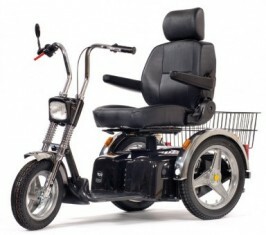 This Shoprider Traveso Mobility Scooter is available in one colour; Silver.